Using removable/reusable wall stickers is a fun and easy way to decorate any child's room. Unfortunately, many of the wall stickers available are made of vinyl and contain PVC. Polyvinyl Chloride (PVC) releases poisonous chemicals linked to both cancer and birth defects. Greenie is the eco-friendly elephant that took her first steps toward making the world a better place on the beautiful and magical island of TelleyGreen. On TelleyGreen, Greenie breathes clean, fresh air, gets her food from a beautiful garden, and drinks water from a clear and fast-flowing stream. One day, Greenie looked up at the sky and saw a beautiful leaf she had never seen before. After she showed the leaf to Garrett, Geraldine, Lenny and Taj (her best friends) they decided to find out where it came from, and that is where the adventures began. The Greenie2Steps wall art was very easy to use. The sheet comes rolled up so lay it flat before you get started. While you are waiting for that, give the walls a quick wipe with a wet cloth to make sure you have a clean surface. When you are ready, slowly and gently peel the stickers off of the sheet. They come off very easily and I had no tearing or any other issues. Then press onto the wall and smooth out any air bubbles. I wound up putting my stickers around the closet, which unfortunately you can't see too well in the before picture above (it is the brown door on the far right). But here are some after pictures, I think they look great! I can't even tell you how excited the boys were to see their newly decorated room! They keep running over to the lion and tiger and pointing to them so I tell them what they are (they both have a speech delay). Greenie2Steps has lots of different wall art options in multiple sizes. They even have huge Eco-Murals that look very cool! One (1) winner will receive a Greenie & Friends Stick-Up Set. Visit Greenie2Steps and tell me your favorite product and why. 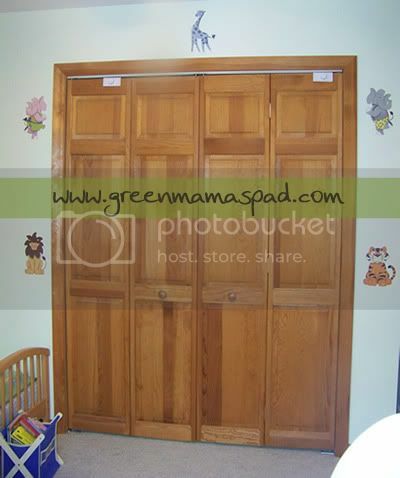 - Follow GreenMamasPad and Greenie2Steps on Twitter and and tweet this giveaway. You can tweet once daily. Leave link to tweet in comment. - Become a fan of Greenie2Steps on Facebook. - Sign up for the Greenie2Steps Newsletter. Let me know the email address you used so I can validate. This giveaway is open to US Residents 18+ only and will end on Monday, November 30th at 11:59pm EST. 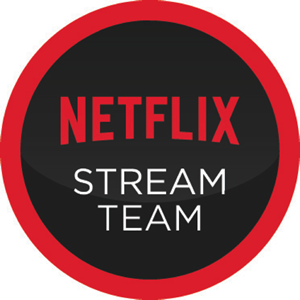 One winner will be chosen at random using Random.org. Winner has 48 hours to claim his/her prize otherwise a new winner will be picked. You must leave your e-mail address in all of your comment(s) so I can contact you. I will not share your e-mail address with anyone, it will strictly be used to notify you if you win. Good luck! Please note that the opinions and views expressed in this review are my own and based on my personal experience with the product. You may encounter a different experience with this than I did. Greenie2Steps provided me with an item for review and is providing the item for the giveaway. Wow, I had no idea that there were green friendly wall stickers out there. Way cool! I would love to get the Geraldine the Giraffe wall art as it would be so cute in my sons room. I love the Taj the Tiger large Art Print.He's big,he's cute and my kids would love him. I think my son (who loves all animals) would really dig the giraffe print. I'm a Green Mama's Pad fan on Facebook. I'm a fan of Greenie2Steps on Facebook. I like Greenie and friends because they are so cute and I love zoo animals. The Zoo animals are adorable. Thanks for the chance. My favorite item is Geraldine he Giraffe art print because the giraffe is one of my favorite animals. 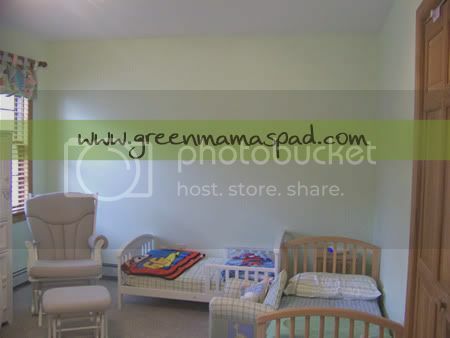 I love the underwaater eco mural, so cute and perfect for my grandsons room! 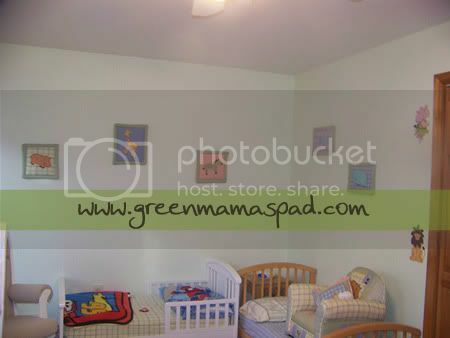 I like the Greenie wall print, because it would match my daughter's room. I subscribed to Greenie 2 Steps e-mail list. 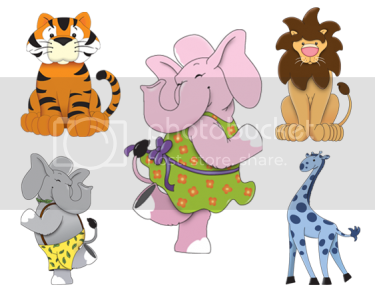 Love the Eco Mural Jungle Excursion because my Granddaughters room is full of jungle animals and this would look great on her wall. The Lenny the Lion art print is my favorite item because I know my son would keep pointing to it and saying, "arrrrrrr." I like the Pineapple Plane Stickup cause it is cute. I love the jungle excursion wall mural because my son and I love jungle animals. How fun it would be to have that in your room as a kid! My favorite product from the website is the Geraldine the Giraffe Art Print. I like it because it is so cute! I love the Garret art print.Thanks!